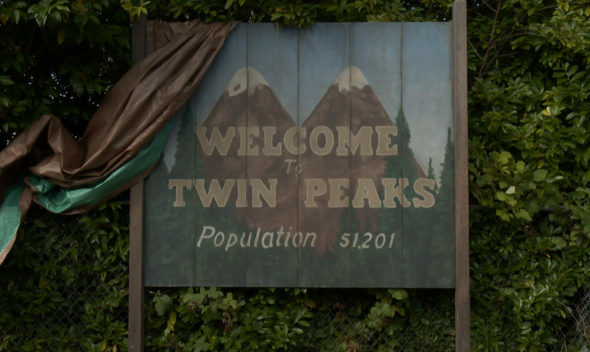 Below, watch a behind-the-scenes first look at Showtime‘s Twin Peaks TV show revival. Original cast members Kyle MacLachlan, Miguel Ferrer, Kimmy Robertson, Harry Goaz, Dana Ashbrook, and James Marshall talk about returning to the iconic cult classic. Jim Belushi, Amy Shiels, Robert Knepper, and Chrysta Bell, also weigh in. The new installment of Twin Peaks is set a quarter of a century after the town is rocked by the murder of Laura Palmer. Twin Peaks is written and executive produced by series creators Lynch and Mark Frost. Word is, Lynch has directed every episode. Twin Peaks is slated for a 2017 premiere on Showtime. What do you think? Do you plan to watch the Twin Peaks TV series revival on Showtime? Tell us. More about: Showtime TV shows: canceled or renewed?, Twin Peaks, Twin Peaks (2017), Twin Peaks (2017): canceled or renewed?, Twin Peaks: canceled or renewed?